Kingston upon Thames KT Expert Hard Floor Cleaners | RDA Cleaning & Maintenance Ltd.
Keeping your floor from cracks and scratches is by all means not an easy task. And it is not even easier to sanitise or restore its surface. 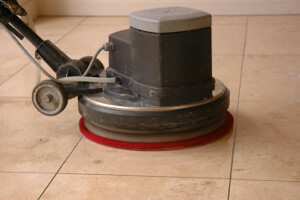 This is why it is very important for you to rely on the expert hard floor cleaning services in Kingston upon Thames KT. Our reputable cleaning company provides a wide range of procedures and techniques suitable for all hard floor types. Our secured and reputable hard floor cleaning services are suitable for both commercial and domestic purposes. We are available 365 days per year without making exceptions or asking for extra fees during weekends and national holidays. To get more details about our reliable company, do not doubt to contact us. Reach us on 020 3404 1646 at any convenient for you time. We are here for orders and questions! If you want to book our hard floor cleaning service in Kingston upon Thames KT, dial 020 3404 1646 or send an online booking request via the online form here. Your request will be received immediately by our attentive 24/7 customer support service operators. Once it is processed you will receive a written confirmation via a text message or email. No deposit is required for booking. The price is fixed, though our regular customers, those who book early, landlords and estate agencies get preferential prices. Customers who book a combination of our cleaning and maintenance services will also get discount on the price. We offer same day and emergency cleaning services.